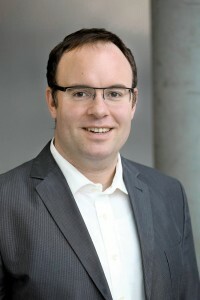 Dr. Jens-Henrik Soeldner, Diploma in computer science, is head of the business division infrastructure at Soeldner Consult GmbH. His company is specialized on virtualization with products from VMware, Microsoft and aws. Being a VMware mentor Instructor and an associate VCI with over 20 years of IT experience makes him one of the most distinct trainers on virtualization within europe. Among the customers of his company are vendors like VMware, EMC and many other companies from different branches. Next to his job role as a consultant and trainer he is working on his doctoral degree within the research area of social collaboration at the chair of innovation and value creation of the University Erlangen-Nuremberg. As a regular contributor of the specialist periodical “iX – Magazine for professional IT” he shares his knowledge on virtualization, storage and cloud technologies. Jens-Henrik Soeldner holds all relevant certifications within the virtualization sector, e.g. VCAP-5-DCA and -DCD and MCSE: Private Cloud. Since 2013 VMware has awarded him annually as an vExpert for his contious publications and contributions to the VMware community. Jens-Henrik is also leader of the VMware User Group (VMUG) in south east Germany.